Emma is an experienced family law barrister, who advises and represents clients in all aspects of family law with a particular emphasis on cases involving children. Emma regularly appears in complex public and private children matters representing local authorities, children (through their Guardian), parents and extended family members, including grandparents. Emma has worked with a broad spectrum of clients including those who have mental health, learning disability and resulting capacity issues which have on occasions necessitated instructions via the Official Solicitor. Emma also receives instructions concerning ancillary relief, divorce and claims under the Trusts of Land and Trustees Act 1996. She has experience of FDAs, FDRs and final hearings on ancillary relief matters. 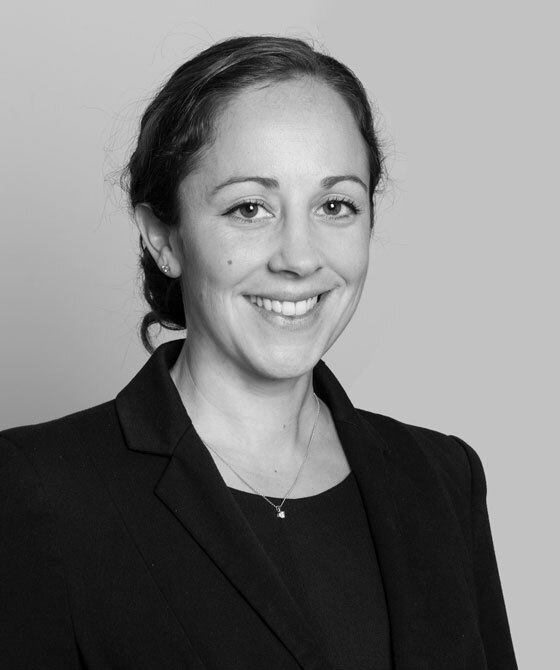 Emma has previously lectured on case developments in the Court of Protection and accepts instructions to appear in cases concerning decisions about the welfare of individuals. Such cases include in relation to applications concerning the removal and/or appointment of deputies and related applications for declarations concerning dealings with individual’s property matters and/or health and care needs. Emma also has experience in Education law and has represented clients at SENDIST. Fact find hearing representing Mother, led by Elizabeth McGrath QC regarding allegations of potentially life threatening injuries to a 4 month old baby including subdural haemorrhages, hypoxic ischaemic injury to the brain, multiple retinal haemorrhages and bleeding in the spine. No findings of non-accidental injuries made. Exploration as to contribution of birth injuries and EDS Type III symptoms to the injuries sustained (2018). Fact Find hearing, led by Kate Branigan QC regarding allegations of non-accidental injuries to two young children concerning fractures, re-fractures, SPNBF and bruising. Symptomology and pain reaction explored with oral evidence from expert paediatrician and radiologist (2017). “Emma is very personable and highly skilled in her area of practice. She has an acutely keen eye for detail, is always well prepared, her written work is of exceptional quality and she has a sound knowledge of the law. Emma has tremendous client care skills, and is a real pleasure to work with whilst always fighting hard for her clients. She works incredibly well with both instructing solicitors and opposing advocates, and is highly regarded by all concerned. She is the whole package” - 2016. Emma Southern is qualified to accept instructions directly from members of the public and professional clients under the Direct Public Access scheme.